Kate Zernike has been covering the Tea Party for the New York Times since the controversial group first started making national headlines. 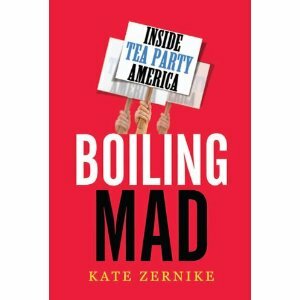 Her book, Boiling Mad: Inside Tea Party America, challenges some of the conventional wisdom surrounding the Tea Party, and attempts to lend complexity to what is often seen as a monolithic movement. She joins us to discuss her ideas about the group’s origins, weigh in on the relationship of the Tea Party to race, and offer her analysis of what they mean for November’s elections.